SJWC Service Area Map – District 5 United! [facebooksimplelike] Click LIKE if you like that we provide you with an opportunity to voice your opinion. 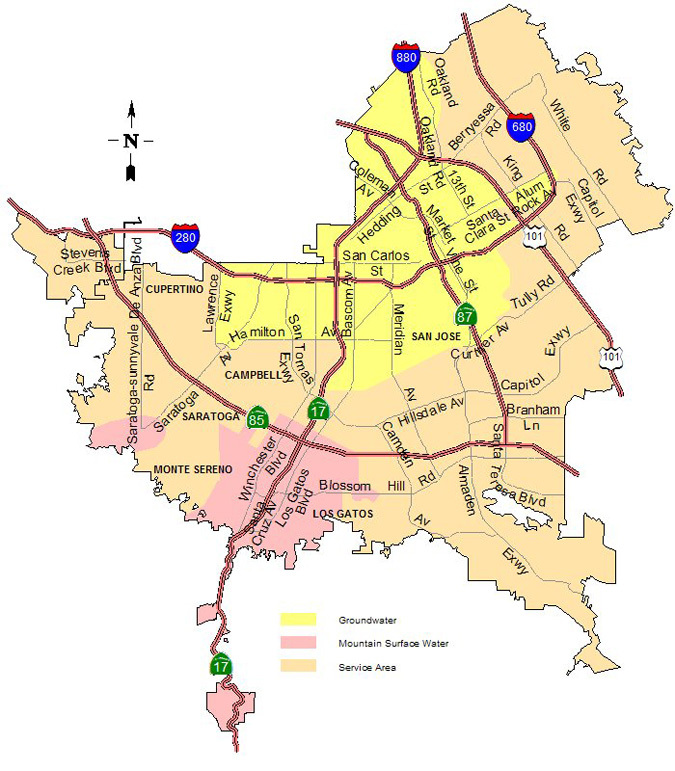 Below is a map of the area that San Jose Water Company serves. Hundreds of San Jose residents have submitted on Online Petition opposing the San Jose Water Company’s proposed 44% rate increase over three years (and supporting the Division of Ratepayer Advocates recommended 10% rate increase over three years). Click here for more info.